Another food holiday is upon us! It’s National Peanut Butter and Jelly Day! Peanut Butter and Jelly is as classic as classic American sandwiches get. Crust on, crust off. On white or gluten free bread. 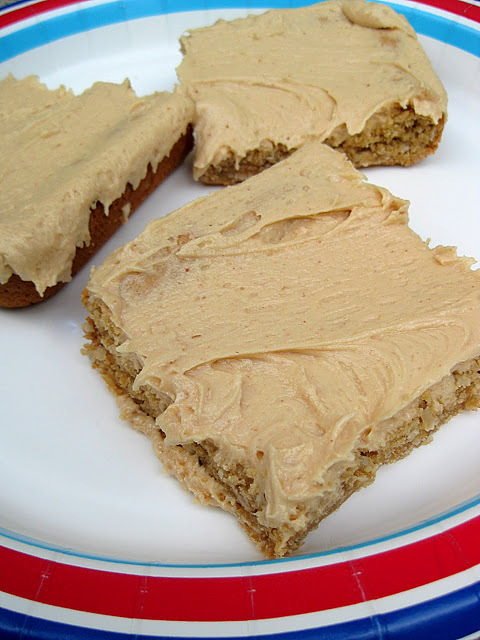 Peanut Butter and Jelly go together…well just like peanut butter and jelly! I’m not going to do a sandwich recipe because it doesn’t get much simpler than putting creamy peanut butter and grape jam on your favorite bread and enjoying. Instead – cupcakes! Oh cupcakes. How wonderful you are. 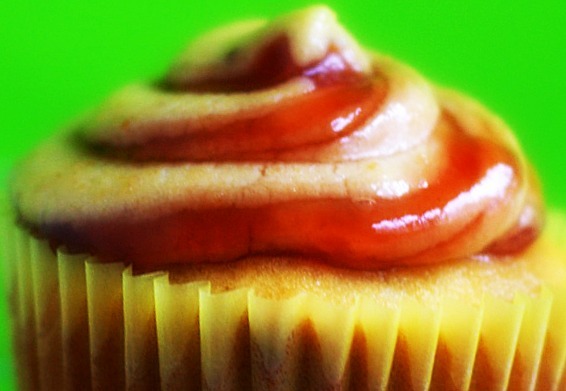 Cupcakes are the perfect vehicle for dessert flavors. 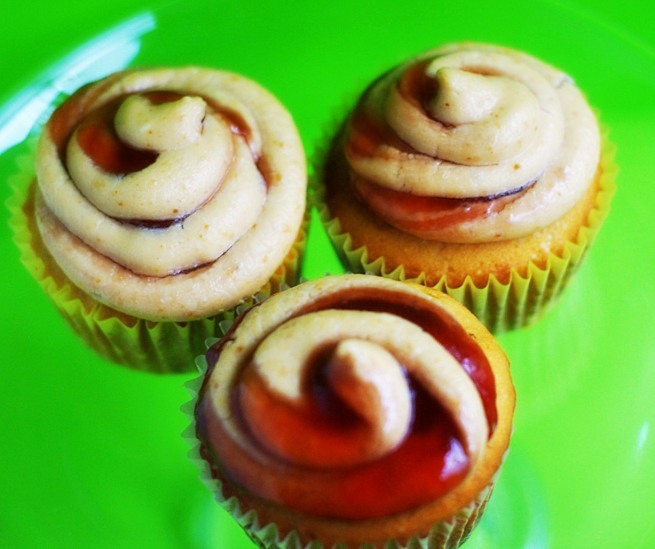 So peanut butter and jelly cupcakes here we come! Line a cupcake pan with paper liners, gently spray the liners with nonstick spray and set aside. Sift the flour, baking powder, and salt over a large piece of paper. In a large bowl, cream the butter and sugar with a hand mixer on medium speed, until light and fluffy. Beat in the eggs, the egg yolk, and the vanilla. Reduce the speed to low and scrape down the sides of the bowl. Pour in the milk and continue to mix until smooth. Pick up the paper with the dry ingredients and gradually pour it into the wet ingredients, continue to mix just until blended. Spoon the batter evenly into the prepared cupcake tins, about 3/4 full. Bake until the tops of the cupcakes spring back to the touch and are not too golden; about 20 minutes. Cool in the pan for 15 minutes, and then allow to cool completely on a wire rack before filling, frosting or decorating. Let’s make some frosting. Place the confectioners’ sugar, peanut butter, butter, vanilla, and salt in the bowl of an electric mixer fitted with a paddle attachment. Mix on medium-low speed until creamy, scraping down the bowl with a rubber spatula as you work. Add the cream and beat on high speed until the mixture is light and smooth. Time to construct our cupcakes! Fill a squirt bottle with the grape jelly and screw on the cap. Carefully insert the tip of the squirt bottle as far as it will go into the top of the cupcakes. Gently squeeze about 1 tablespoon worth of jelly inside of each. Ice the tops of the cupcakes with Peanut Butter Frosting to cover. Decorate with your favorite peanut candy!